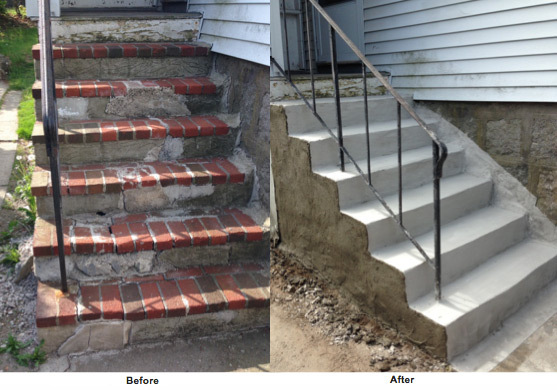 If your stairs are cracked, chipped or damaged, call A-1 Foundation Crack Repair Inc. at 866-929-3171 NOW for a free estimate. Repairing this now will eliminate costly repairs in the future. Freeze thaw cycles, winter salts, initial cracks, wear and tear, harsh chemicals, bacterial corrosion, leaching, and sea water effects.